From a subtle feeling that is just below the surface to outright panic, overcoming anxiety is a challenge that many of us face. Find out how Resilience Training can help you create a life that is anxiety free. Who is Affected by Anxiety? Anxiety disorders affect 18% of American adults, and 25% of children between 13 and 18 years old. This makes anxiety the most common emotional illness in America. Yet, only one-third of people who have anxiety disorders are receiving treatment. There is also a gender gap, with women suffering from anxiety attacks almost twice as much as men. Anxiety disorders develop from a complex set of risk factors, including genetics, brain chemistry, personality, and life events. It's not uncommon for someone with an anxiety disorder to also suffer from depression. Suffering with anxiety can leave many of us feeling like victims, living in fear of the next anxiety attack. But anxiety is not a sign of weakness, and dealing with it doesn’t mean you’re crazy. Luckily, there is help available. Do you know someone who seems to manage stressful events with ease and live their life without fear? You may assume they were born with greater emotional strength and that’s something you’ll never have. But it’s more likely they have coping tactics that allow them to be more resilient to challenging events and circumstances. Resilience training can help you increase your abilities to adapt to and recover from life’s challenges or adversity - and change the internal messages we send ourselves that cause anxiety and panic attacks. If you’ve felt overwhelmed by challenges or have a tendency to dwell on problems, resilience training can help you gain new, healthy ways to cope with adversity and have a more positive outlook - making anxiety a thing of the past. "Dr. Mike" has been a psychotherapist since 1983. He is passionate about helping those who struggle with anxiety and panic attacks. Mike knows that life's challenges can be overwhelming at times, leading many of us to struggle with the emotional turmoil associated with the stresses and pressures of daily life; and the subsequent discouragement and despair that seem to be so common in our world today. The fast pace of our life and the numerous demands we confront every day leave us anxious, worried, tired and often feeling like we don't measure up. He believes that therapy can help. 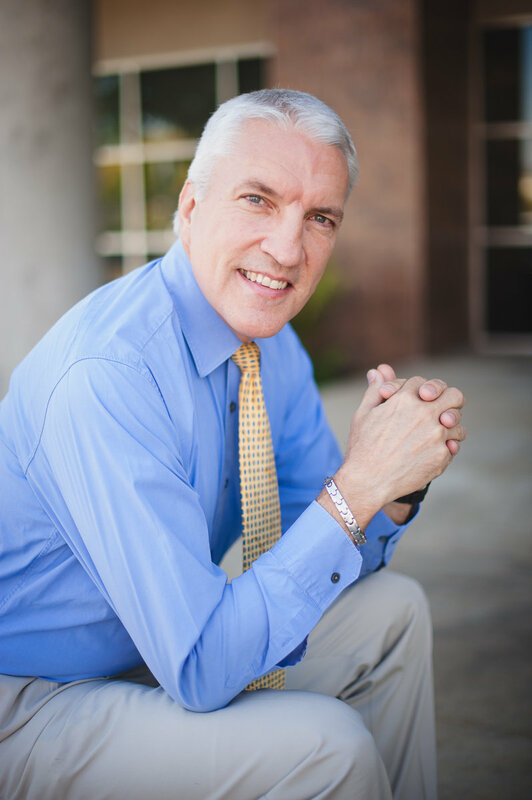 Mike holds Master’s Degrees in Social Work and Marriage & Family Therapy, as well as a Ph.D. in Clinical Psychology.